Rolwaling valley is a quiet mountainous region, visited by the number of trekkers which is bordered with Tibet in the north. 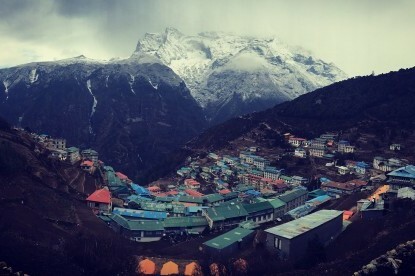 This region is home of the famous Sherpa climbers with the unique culture of Sherpa and Tamang peoples, high glaciers lakes as well as many beautiful mountains including the Mt. 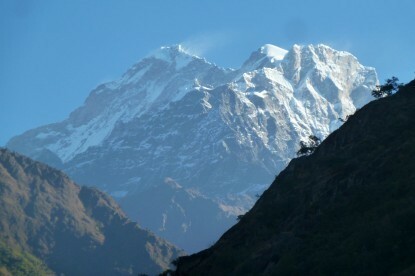 Gaurishankar (holy mountain), Melungtse, Chekigo, Ramdung peak, Chobutse etc. 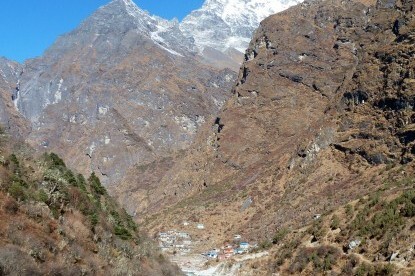 This is really interesting visiting into Gaurishankar conservation area, less touristic than other Nepal trekking route as the route passes along Tama Koshi river valley through remote Sherpa villages of Simigaun, Beding to Na. The walk through high Rolwaling glacier and Trolambau glacier makes the journey unforgettable experience. 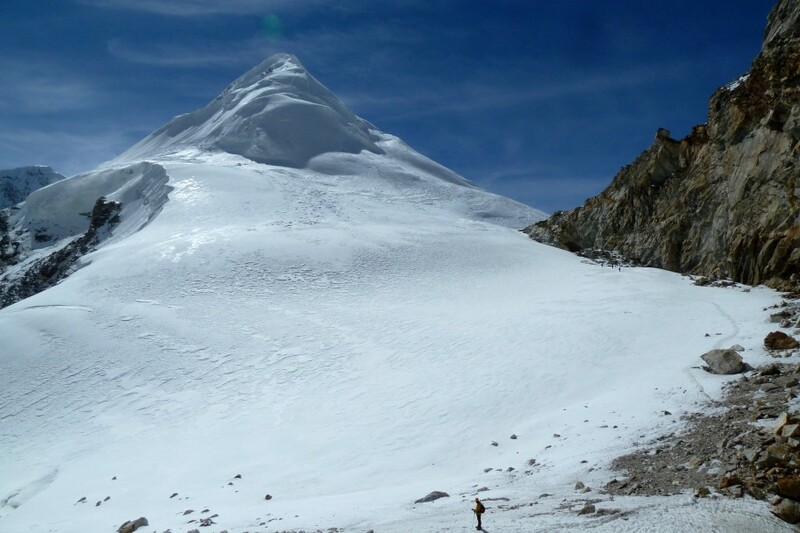 The altitude gains gradually from the valley to Tashi Lapcha pass (5755M) which helps us to acclimatize well. 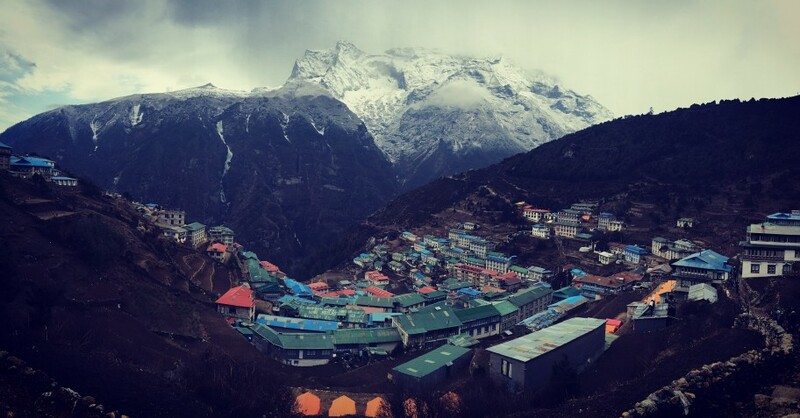 After the Tashi Lapcha pass we descend into Khumbu valley and trek through the famous Sherpa villages of Thame, Namche Bazaar, and back to Lukla. Then we take a flight back to Kathmandu. 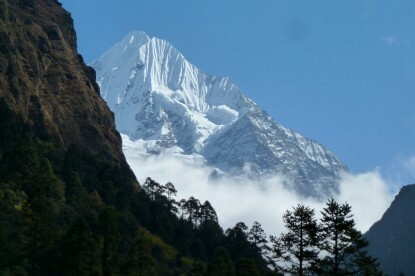 This trek can combine the peak climbing in this route including Ramdung peak, Yalung Ri or Phachermo peak. 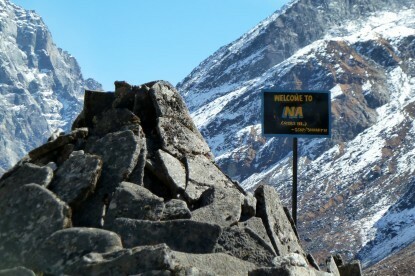 This trek is necessary as one must be fully equipped with tents, foods and appropriate gears. We organize this trek for all who needs to be physically fit. 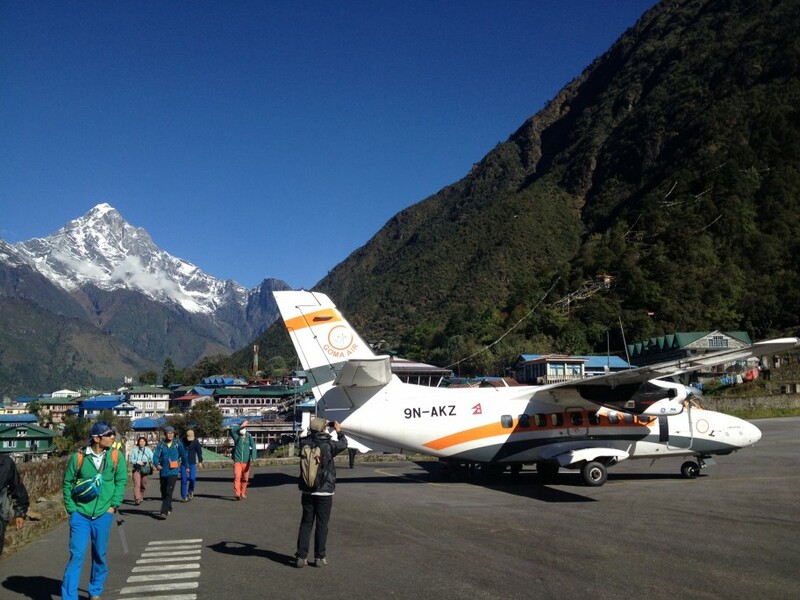 Airfare Lukla to Kathmandu by regular flights including airpot taxes. Special varieties of meals on trek prepared by our experienced cook, all varieties of foods, all kind of hot drinks, boiled water etc. Trek Guide,Service of special climbing sherpa, cook, kitchen helpers, Sherpa assistance and required number of porters while on trekking and as well their wages, foods and insurance. All necessary trekking equipments(Sleeping tents*The North Face*, Hard and foam Mattresses, dining tent, sherpa tents, toilet tent, Chair and tables, cooking/eating utensils. Gaurishankar Conservation Area permit and Everest National park permit fee. Trek Staff and Porters equipments charges. Staff transportation charges from Kathmandu and Lukla. We will meet you at the airport and then transfer to the hotel which is closer to the multitude of shopping centers and restaurants. Day 02 Drive to Gongar Khola (1450m) 6-7 hrs driving. 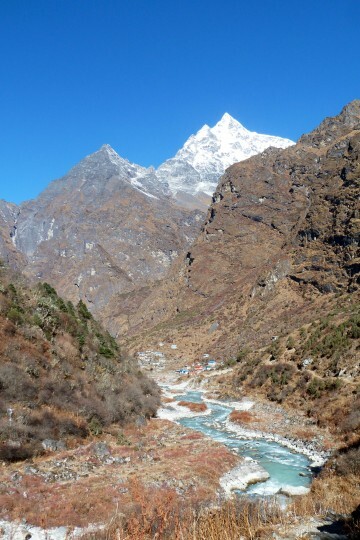 A Jeep will take us from Kathmandu through the river gorges and scenic hills with mountain views to the north. After Charikot, we will drive north on dirt road following the Tama Koshi river bank through Singati, Jagat and arrive at Gongar Khola. Overnight in camping/Lodge. Day 03 Gongar to Simigaun (2090M) 4-5 hrs walking. We walk along the dirt road for a while then cross the suspension bridge over Tama Koshi River. The path continues on a rocky steep slope as we get walk through a forest and later crosses terrace fields of Simigaun. This village represents Buddhist religion and lives the Sherpa and Tamang community. We continue walk through the villages and reach at the monastery on top of the hill. Overnight in camping. Day 04 Simigaun to Dokhang (2850m) 6-7 hrs walking. Today we walk through dense mixed forests and enter the Rolwaling valley. The path steadily climbs towards the forests and streams as we get Cyalche. Then we descend back down to the river side and set up camps on the bank of Rolwaling Khola. Day 05 Dokhang to Beding (3600M) 5-6 hrs walking. We gradually walk through the forested valley of lush green alpine vegetation, with excellent mountain scenery surrounding us. We cross the Rolwaling river then walk on the left side of the valley with great view of Gaurishankar mountain and Melungtse which is Rolwaling’s highest summit. Beding is a small Sherpa village; well known as village of Everest summiteers. We will camp on the bank of the river. Day 06 Rest day for acclimatization at Beding. Today we hike above Beding for acclimatization. There should be great views of snowy peaks, glaciers and the green forest in the Rolwaling Valley. Day 07 Beding to Na(4150M) 3-4 hrs walking. Today we have short and gentle walk to Na; the last tiny alpine hamlet that is only inhabited during summer months. Na is situated just below the Chekigo mountain in a beautiful valley overlooked by impressive peaks, including Chobutse, Chugimago etc. Day 08 Rest day for acclimatization. 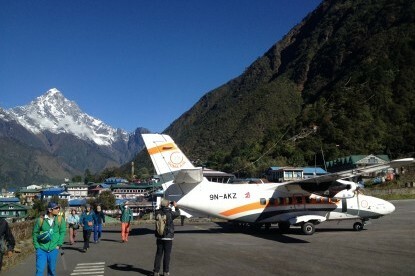 We can make a day excursion towards the Yalung Ri base camp. The trail is steadily climbing up after we pass the valley floor. 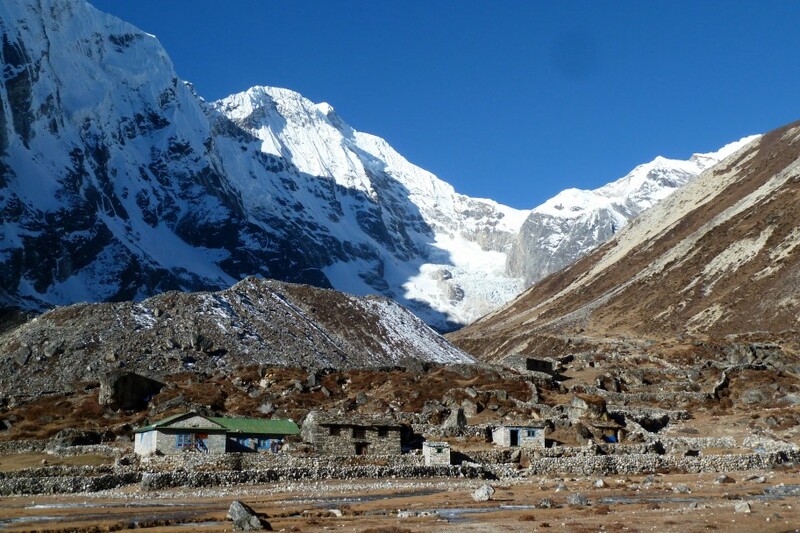 You will get some stunning views of Yalung Glacier, Ramdung Peak (5930m), Yalung Ri (5630m) and to the north the breathtaking Himalayan mountains along the Tibetan border and Mt. 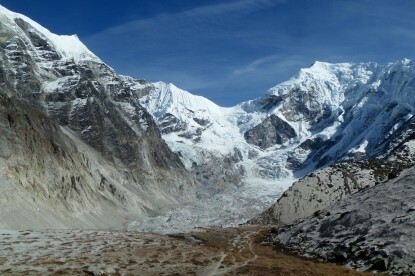 Cho-oyu(8201m). Day 09 Na to Kabug/Glacier camp (4680M) 6-7 hrs walking. We walk along the Rolwaling khola then climb up to the short steep hill section where is a dam that holds back the Tsho-Rolpa glacier Lake. We walk along the right side of the lake and enter a meadow where we take lunch. After a steep climb, we cross a moraine area then descend to the sandy field. 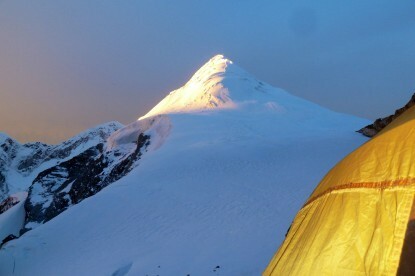 Then we continue the walk along the Trakarding glaciers and camp at the middle of Glacier. Day 10 Kabug/Glacier camp to Trolambau Glacier(4980m) 6-7 hrs walking. The path enters towards the Trakarding glacier which is a huge and impressive rocky area. We will struggle many ups and downs through the glacier following the cairns which marks trail. Just below the Trolumbau glacier, we need to climb up a rock face and to set a rope for the porters, helping them to scramble up the 160m before accessing the campsite area. This provides a fantastic panorama with the Trakarding glacier below and the great glacial wall of the Trolumbau glacier to the north. Overnight in camping. Day 11 Trek over Tashi lapcha pass (5755m) to TashiPhuk(5600m). 5-6 hrs walking. Early morning we climb through a rocky gully and steep section with fix lines before getting into the Trolumbau glacier. Once we get up higher in the valley a unique view towards Tengi Ragi Tau (6943m), Pigphera-Go Shar (6729m) and Dragkar-Go (6793m). We walk through moraines and gentle slopes, crossing glacial areas then eventually climbing steeply towards the summit of Tashi Lapcha pass. There is full of snow all year round at the pass. After the pass just walk half an hour to campsite of Tashiphuk (Big cave). 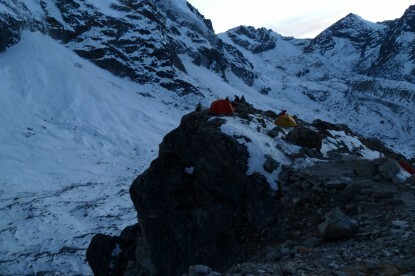 Day 12 Tashi Phuk to Thengbo (4350m) 5-6 hrs walking. 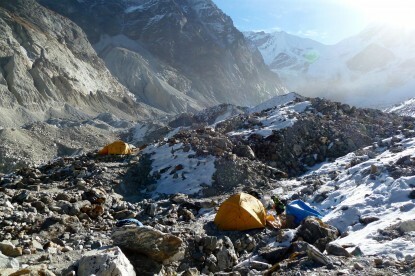 Today we traverse the rocky sections then from the corner, reppel down to the glacier field. Then we continue walking through the glaciers and passing beautiful lakes. Finally we get to walk into nice meadows with soft ground after 4 days walking in glaciers. 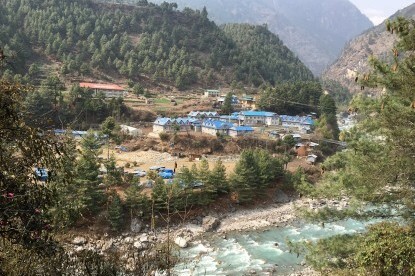 We reach the tiny village of Thengba and overnight camping. Day 13 Thengba to Namche Bazaar (3445M) 5-6 hrs walking. 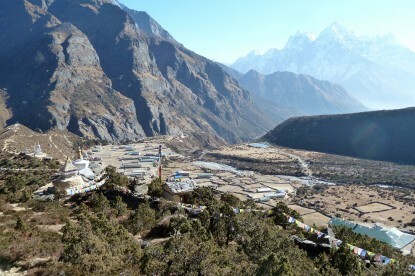 We descend all morning through the bushes of juniper and rhododendrons enjoying the khumbu valley views. 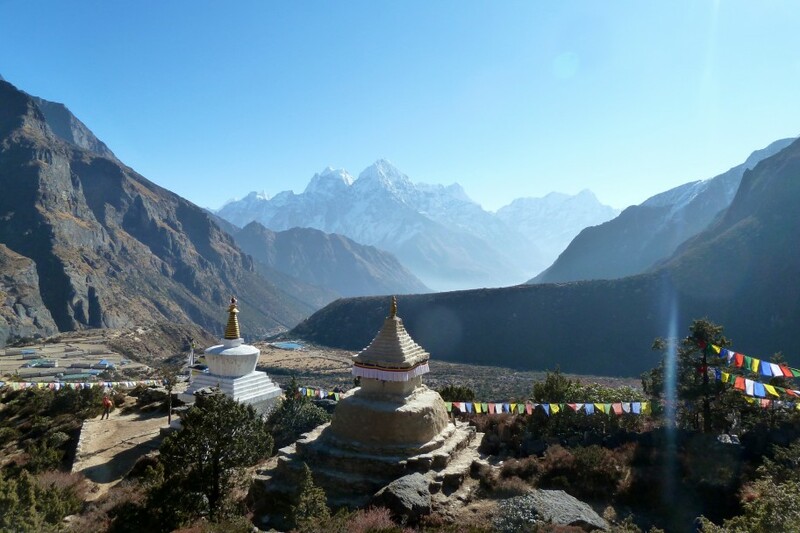 Just before arriving in the Sherpa village of Thame, we can visit its picturesque monastery perched on the hillside. 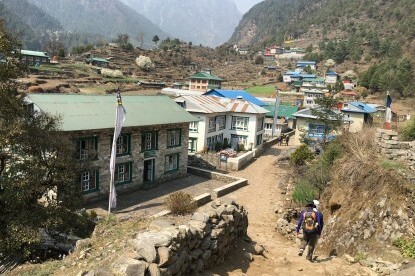 Then we continue the walk to Namche bazaar where we take shower and laundry after nearly 2 weeks of wilderness. We get back to the civilization as there is available wifi and internet. Overnight in Lodge. Day 14 Rest day at Namche Bazaar. Today we can rest all day or short hike to the view point of National park headquater. 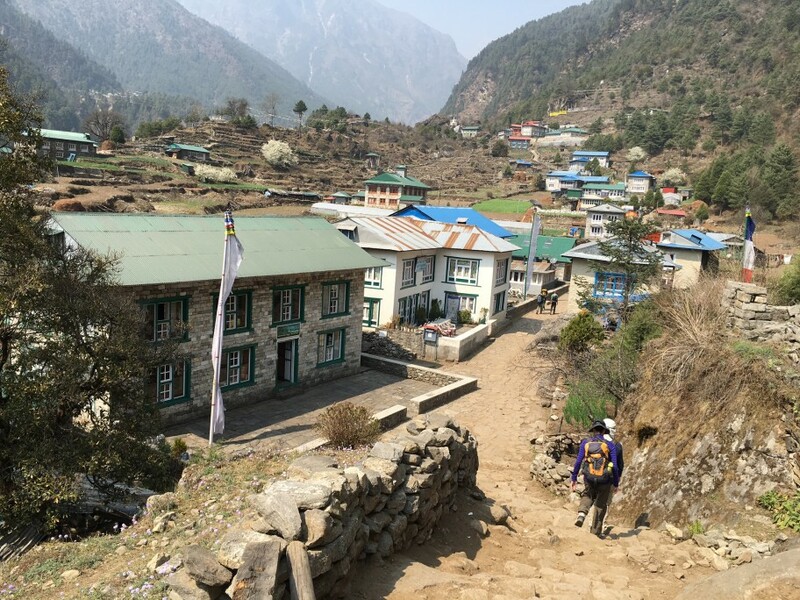 Day 15 Namche bazaar to Lukla(2810m) 6-7 hrs walking. 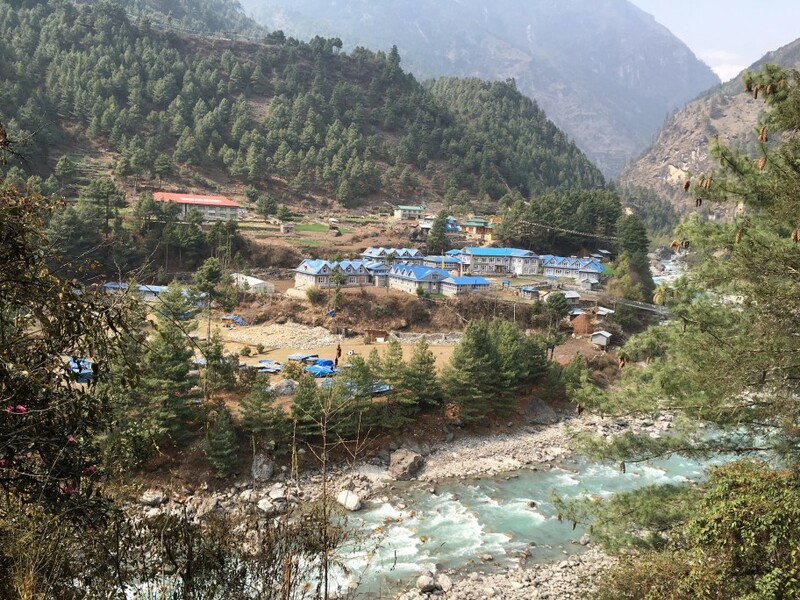 Today the trail descends all the way down to Dudhkoshi River and after there we walk through Monjo, Benkar to Phakding.Lunch at Phakding and iresume the walk back to Lukla. Overnight in Lodge at Lukla. Free day for shopping or sightseeing tours around Kathmandu.